The Netgear WNDR4500 N900 is the premium edition Wi-Fi dual band gigabit router gets combined speeds up to 900Mbps. 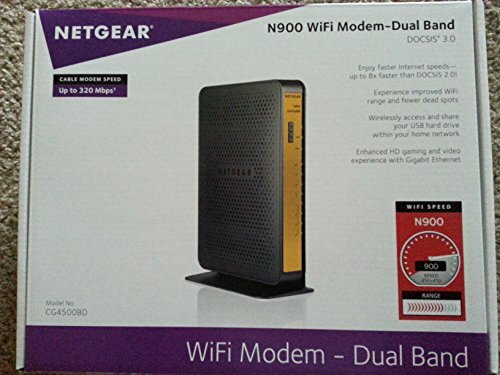 Compared to the Netgear WNDR3700, this model has more installed RAM at 128MB and an increase in flash memory at 128MB which increases the system’s speed and performance. This device also has four Gigabit Ethernet ports, USB printer connection, upgraded firewall security and comes at a reasonable price with all of the new modifications offered.